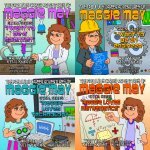 Book Description: A 25-Book Series about career pathways and how to get there. 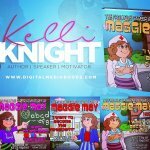 Author bio: Kelli Knight M.Ed. 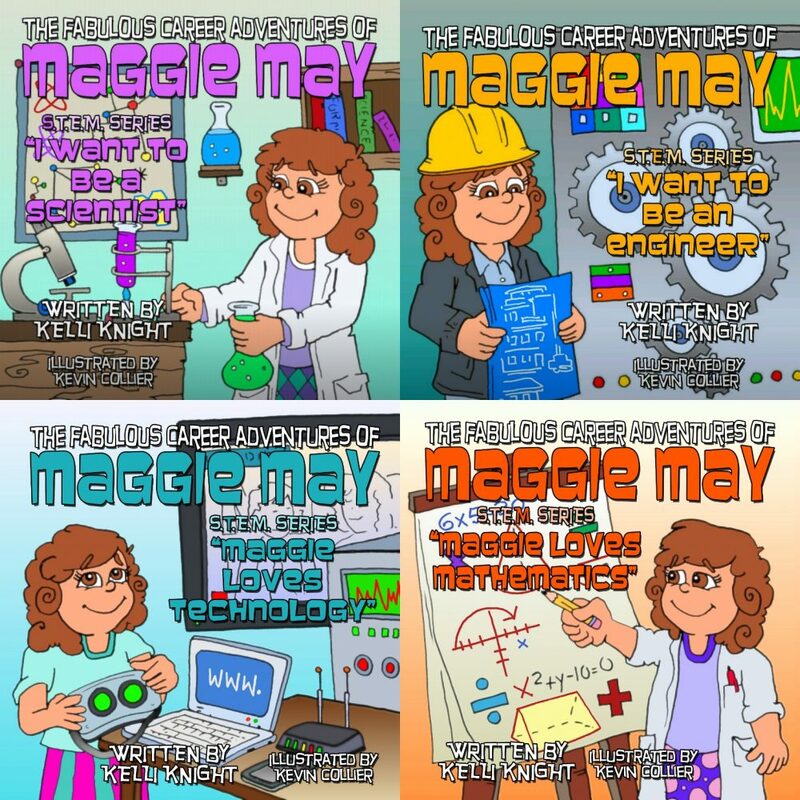 MHSC-MFT Ed.S is the Author of The Fabulous Career Adventures of Maggie May book series, the founder of the Life Skills Education Centers and literacy coordinator in the State of Maryland for Reading is Fundamental based in Washington, DC. Ms. Knight is a Licensed Professional Educator II with the State of North Carolina with Principal endorsement and volunteers her time assisting in all areas within Guilford County Schools to include filling in for teachers as a Certified Substitute. Ms. Knight has also gained approval as a School Administrator in the State of Florida. A native of New York City, Kelli is (affectionately referred to as “The Philanthropic Mentor”) and has touched the lives of thousands of children, adults, schools, businesses nonprofit and faith-based organizations who needed someone to guide them to start, grow, save their youth programs through building business models and strategic partnerships. Kelli, finding it difficult to learn of the countless numbers of youth who struggled in the classroom not for a lack of intelligence but instead a life riddled with ecosystem and socio-economic barriers, it was time to act. She knew that it was time to answer the call to help students overcome these obstacles. In response, Kelli learned how to listen to students dreams for the future and then take that information to develop sound partnerships and shared exchange techniques among schools-community-business. These techniques have helped schools and organizations to formulate bonds in which to grow in their giving and in service. With expertise on how to be successful in organizational growth, Kelli Knight works with others making recommendations to fortify school improvement planning, curriculum, and Title I programs that can earn Blue ribbon, Green ribbon, and Excellence school status. Helping educators and students develop their “Vision” and “Personal Reasoning” for starting their organizations, she developed her first projects called “Leaders Start off as Great Readers” and “Literacy for Life” in the Maryland area and through teaching at seminars. In 1998, Kelli became a contracted consultant specializing in Business Development. She also conducted small business workshops for the Small Business community teaching credit worthiness and grass roots development ventures. It was at that time that others began to discover her street-smart approach to getting to the root of the problems in businesses and education systems. She has written several unpublished books and guides giving sound instruction and inspiring individuals in the area of personal and business development as well as authored several unpublished children’s books. Kelli soon learned from others that she had a gift for speaking and sharing information that lead to reform and growth. Shortly after, Kelli began to take business, family/child human service, education, and higher education administration classes to research the latest methods of pedagogy and andragogy. Kelli’s education includes a GED in 1984 (Which she is most proud of because it required countless months of focused study while facing all adversity) and began Community College at age 16 under the guidance of an educator who believed that she could succeed in college. Other completed collegiate education includes conferred AAS in Accounting, BA in Business Administration, M.Ed. in School Supervision & Administration, MS in Counseling-Marriage and Family Therapy, EdS in Education and currently working on her PhD in Higher Education Administration at Liberty University in Lynchburg, VA. Kelli also holds several certifications in entrepreneurship, behavioral science, finance, education, human resource, leadership and business management. In 1999, her passion grew to include helping educational organizations and public-school systems to achieve their goals of operating a successful school. Because of her love and passion for students and education, she began to offer free mentoring to school leaders and no-cost consultation services within the education, community and business sectors. 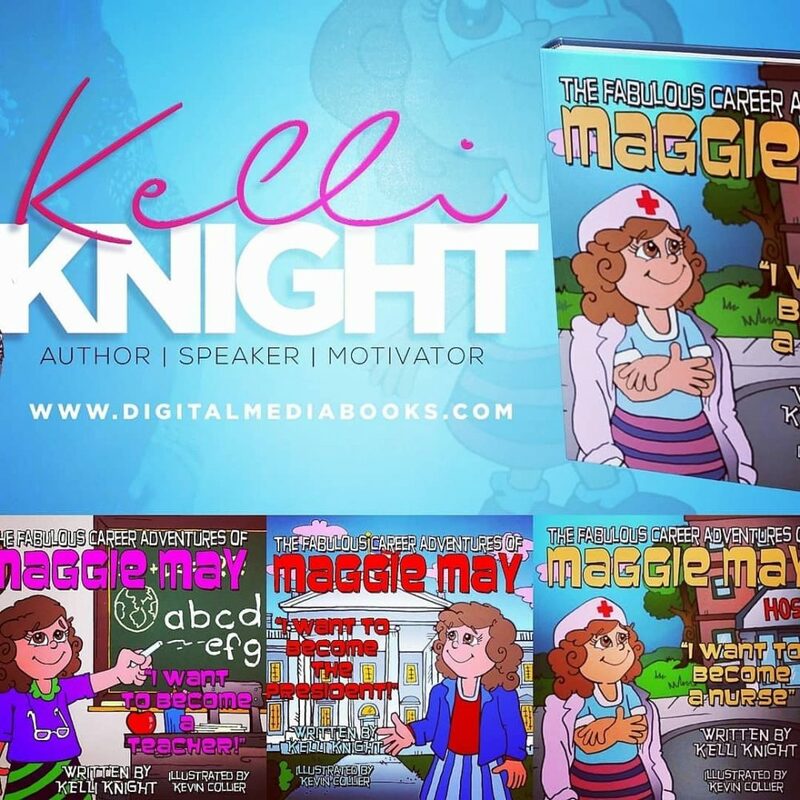 Upon request, Kelli continues to read to elementary school students, speak at seminars and conferences to motivate students, educators, community leaders, business professionals to become school-community-business partners throughout the United States.